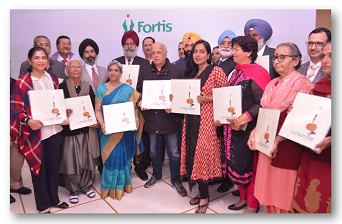 Noted filmmaker Mahesh Bhatt unveiled a book titled ‘CanSurvive – Inspiring Stories of Those who Beat Cancer’ at Fortis Cancer Institute. The book features inspiring stories of 13 cancer survivors and their families .Shagufta Rafique, film screenwriter and director was the guest of honour at the event. More than 130 people, including cancer patients, survivors and their loved ones attended the event.